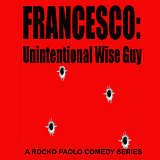 An italian wannabe actor going to an audition witnesses a mafia boss hit and becomes the new Don. 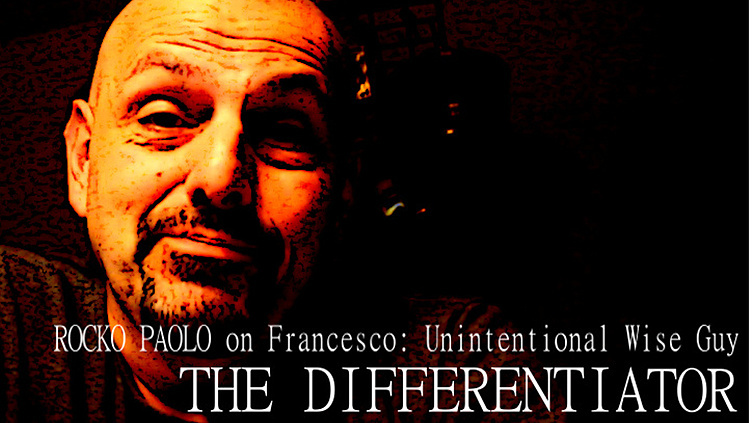 Creator \ Writer : Francesco: Unintentional Wise Guy's Rocko Paolo discusses why his sitcom is different from anything out there. Emphasis: Original concept. What is the end of the how many black guys does it take to screw in a lightbulb joke? Please answer. ASAP! Fun idea, would like to see it develop more, see where you can take it. Definitely like the age "differentiator"! this looks funny.. going to watch more! Before you talked about the show being about the mafia.. I knew it! You give me the mafia-esque vibe. Nice work! Also, I wish I could get my pots and pans to hang like that. Nice work on that too! LOL! Pots and pans made it into the backdrop....! This is definitely different. Nice to see a show that doesn`t feature 25 year old males. This is different...a great concept and funny to boot! Can't wait to see more. Good luck!